A couple of years ago, we decided to take a step back and look at where our lives were headed. We realized that we had given money and possessions a great amount of influence and power over our lives. We realized that we'd been running as hard as we could toward things that didn't really even matter to us anymore. We also realized that the most valuable things we'd attained weren't things at all... they were experiences and adventures. So, we asked ourselves: "What are our ultimate life goals and once we become 'successful', what do we intend to do with our lives?" Our answer was quite simple. We hoped to eventually travel the world, learn and grow through people and experience and to make ourselves available when help and volunteer work was needed. Then it hit us: With just a bit of preparation, We can do that now! With this new realization in mind, we cut down expenses, started saving, sold everything we could and donated the rest. In March of 2011, we left "conventional living" behind, bought a van to live and travel in, and now travel full time in search of adventure and opportunities to help others. Through all life's highs and lows, we've come to know one thing: Every Second is an Adventure. Whether it's taking a walk through the neighborhood or standing on top of a beautiful vista, life is best lived when soaking it all in. We hope our unique perspective on life will help others see beauty in the simple and maybe inspire them to pursue adventures of their own. We'd like to build a community of people who love to travel, learn, experience and share. The term "Vagablogging" is not our own. It is a term coined by Rolf Potts, author of Vagabonding: An Uncommon Guide to the Art of Long-Term World Travel. Rolf's blog can also be found at vagablogging.net. What does Vagablogging mean? Well, a vagabond is defined by Wikipedia as someone who is characterized by almost continuous traveling, lacking a fixed home or permanent residence. Vagabonds are not bums, as bums are not known for traveling, preferring to stay in one location. 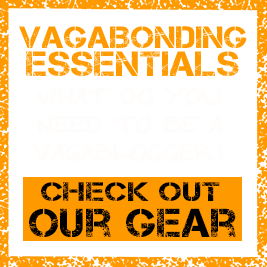 Vagablogging is simply the unity of vagabonding and blogging and as such, we have decided to become Vagabloggers. I'm probably not your typical "girly girl". I love the outdoors and enjoy sports like rock climbing and canyoneering and don't mind getting dirty. I like pushing my limits while traveling. It's always a challenge to see just how little you can get by on... both supplies and budget. My current focus in life is to open myself up to discovering new passions. I enjoy taking black & white photos and like finding beauty in simple shapes, lines and structure. I was born with a very rare eye condition called Achromatopsia. Because of this condition, I am legally blind (I see only 10% of what a fully-sighted person sees), completely colorblind (I see in grayscale, much like a black and white TV) and have dayblindness (I am extremely light sensitive and require the darkest possible sunglasses to function outside). This condition has presented many challenges in my life and I feel I've become quite strong because of them. Even though I'm legally blind, I've taken up aggressive sports like rock climbing and skiing. I am also an avid hiker and backpacker. As I've become more comfortable with myself and my abilities, I've been able to push my limits further and further every day. It's definitely a challenge, but I hope that through my travels, activities and photos, I can inspire others with disabilities to pursue passions of their own. just seen you guys on the michael tubbs doc, you people have the right way to live,keep it up, i would love to live like you guys, take care . Awesome. I’m glad you found and watch the documentary! Found you through Michael Tubbs’ documentary, of which Ed Helvey and We will be in the next one. We are on a constant watch for other Van dwellers’ sites. We are starting out that way, just to get away, but can’t guarantee we will stay that way. You can read more about us and follow our progress at our blog at Incargonito.blogspot.com. We’ll be headed west and “houseless” by August. Maybe we’ll see you out there. BTW, I’m a former owner of three Dodge vans, two of them Maxi’s. Best wishes. Hi there Vagabloggers! I’m looking forward to reading about your adventures. I also wanted to link to http://www.digitalnomadjobs.com, which is a resource site to help aspiring digital nomads to get on the road! Thanks a lot…I live in Costa Rica – san josé (my hotel : Costa Rica Guesthouse)… And when i want to visit surf beach in Jaco, i like sleeping in Catalina hotel…Thanks y pura vida ! Hi! My friend, our common friend, Steve Bennett told me about you! I had told him a few months that my daughter and I want to drop everything, get a bus, remodel it and travel around the world. I didn’t even know there was a term for that. You guys are awesome! I still need to find the guts to do it! I told Steve he should come with us! Just bought an empty 2001 Ford E-250 V-6 and intending to fit it out for van living. I’m excited, nervous, and scared shitless to tell my father (currently sharing the same home) when he gets home from work! I’ve told very few friends about this obsession with trying this lifestyle out and now the cat is going to make its way out of the bag. Bring it on! That being said I think I’ve made a great purchase. It’s as nondescript as a cargo van is gonna get, a true stealth camper! I can’t wait to get started! My intention is to seal and insulate the vehicle as much as possible. Anyone know of any instances where someone has taken the time to really insulate the crap out of their van before starting their build? I am well underway to doing the same myself. I am tricking out a 2001 Chevy Express, and have learned a lot along the way (I’d be happy to contribute to your site). I came to the same realization the Buddha came to over 2500 years ago, that yesterday is gone, the future does not exist (I may also add the future is not guaranteed… there is only the present moment. You have an awesome website. I’m currently am over the road truck driver, but I’m making plans to retire in a few years. Van dwelling looks very attractive, so I’m learning everything I can about it. Thanks and keep it the good work! Living in my van and love it. You’re so right about chasing things that don’t really matter and lost freedom while working a job that gives you promises of pay raises and retirement and then breaks those promises is quite unsatisfying. Hi Ed! Good to meet you and thanks for the follow back and the subscription 😉 We always love hearing from fellow “van dwellers”. Thanks for the info about SD as well. That’s one thing we eventually need to do – figure out a tax friendly base. Quick question about that: do they require safety or emissions inspections for vehicle registration renewal? Currently we have to return to Utah once a year for these inspections. It worked out conveniently this time, but may not by next year. Hi guys, sorry for the delay in replying. You asked about SD inspection requirements for vehicles. SD has no vehicle safety inspection or pollution certification requirements. Actually, you can handle registration and annual renewal without ever taking your car or van to SD. You can buy and sell vehicles without them ever being in SD. The only thing you actually must go to SD for is to establish your residence there by getting a SD drivers license and that only requires a one night stay at a motel/hotel or campground and taking the receipt with you when you apply for your license. You can use one of several mail forwarding services as your official street address (one of the services they provide). I use Americas Mailbox in Box Elder (a suburb of Rapid City). Hi Guys, Just discovered your blog when you followed me on Twitter (I’m following you back). I’m in the process of building in “living” capabilities into my Ford high-top conversion van to get back on the road. I’ve been in business for myself since age 12 (well over 50 years ago) and have done a fair amount of traveling and even some van camping over those years. Four years ago I decided to hang it up, get out of the rat race, gave up my small 49 acre horse ranch, downsize, minimalize and frugalize and become a full-time nomad. 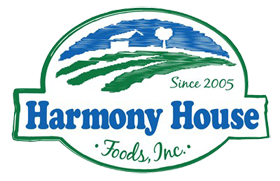 I moved my official “residence” (though I don’t have an actual dwelling place there) to the Rapid City, SD area – because it is one of the most tax friendly and easiest places to “base” from. I use a terrific mail forwarding service there. Life has never been better. I’ve never been freer and happier. Like you, I blog (at livingandworkingfree.com) and share my thoughts and experiences with others of like mind or are interested in considering this kind of lifestyle. I truly wish I had done this when I was younger like you are, but I thought my freedom would come from my businesses. Instead, I just created my own form of wage slavery. Happy trails and adventures – and I’ll look forward to our paths crossing someday – so we can share tales of the road. I’m also subscribing to your blog. Discovered your blog and love it. Wish all young people would do this before they settle down if they ever do. I have a question or a request. Most people take their videos in beautiful weather but I’m a weather lover. I love all types of storms and extreme weather along the journey. Do you have any vids that you can post driving or living in the extremes ? Lightning storms are awsome. That makes it really interesting I think. Campfires are nice, water features like streams, waterfalls and so on are good places too. Where are you folks at now? Approx . . .
coffee house, restaurant etc. and set up some basic gear, start playing and kind folks put money in my tip jar. With some good organization and planning I would love to stay booked out throughout the year. I have a Chevy Astro mini van that is great, low miles. Need to trick it out for living and keeping my gear safe for my travels. Maybe, even do up a blog like you guys to help other traveling musicians. My music can be found on CD Baby, under my name /Gilbert Yslas. Album is called Liquid Blue. Also, have a brand new release called Bittersweet. That one can be found too under the duo name Fret Noir. Thank you kindly for the sweet inspiration and your great common sense information to help us newbies find our way in life. Might be the greatest opportunity of a lifetime. To go out into the world and make friends and fans. Blessings to you both. Thanks for introducing yourself, Gilbert! It seems like you’re set up quite well to pursue the nomadic lifestyle if you choose. One of our biggest struggles is generating money while on the road. It would be nice to be skilled enough in something just to earn a bit of tip money when needed. As for the Astro Van – we’ve seen a few other van dwellers living in them and they seem to work quite well. We actually test drove and seriously considered an AWD Astro before settle on our Dodge Van. Best of luck to you and we wish you grand adventures, whichever way the road of life takes you. It’s all about time management. You have a set mileage to do and a set time to deliver. After you run a few days at a pace that you like, just figure out what your average mile per hour rate is then you use that figure to determent your travel time from day to day. Say you travel 200 miles and it takes you 3.5 hours. That’s 200 divided by 3.5 = 57.14 miles an hour for that trip. Your average speed was 57.14 miles an hour. Now you have a time reference. So if you have 450 miles to do today you can figure how long it will take you to do the trip. Distance to travel 450 miles, rate of travel, average 57.14 miles an hour. So 450 miles divided by 57.14 = 7.8 hours travel time. Now take 7.8 away from 24 hours and that leaves you with 16.2 hours left that you can do whatever you want with for that day. I would however advise sleeping five or more hours a night. I was doing my nightly youtube roaming when I found your video on the van camper thing. I find myself leaning toward doing the same thing. But am unable to at this time. Bad kidneys force me to take dialyses three times a week so traveling is out of the question right now. But who knows if things work right I might get to travel for fun. I’m a retired truck driver, 2.5 million before I had to quit the road. Glad to have stumbled upon your blog! My husband Tim and I have been living out of our Sportsmobile for 2.5 years now. We started traveling back in 2009 for 1 year, fully intending to return to “real life”, but kept finding excuses not to go back home (for us Jackson WY). Thanks for commenting! Wow, 2.5 years! That’s great inspiration for us, as we had to take a break this summer to earn travel funds and digest what living in a van means to us and reanalyze some traveling habits (good and bad). We’re living in an apartment right now and we both seem to be missing the van “home”. I’ve checked out your site and it looks like you were heading back to Jackson in your last post. We will definitely have to exchange some stories and maybe one day our paths will meet on the road. Had an awesome time with Josh and Meisha in Red River Gorge last weekend. Can’t wait for our paths to cross again. You two are wonderful people. I just discovered your blog. You’re on the right path (where ever that may lead you). Come and visit my blog (rhumbrave.blogspot.com) and let me know when you make it down to Miami (avoid July – September!). I’ll give you a cruise aboard the Rhum Brave. Thanks! We checked out your blog… Looks like you guys have a lot of fun down there. We’ll look forward to following 🙂 Also, thanks for the link! We’ll be compiling a list of friends’ blogs to post on the site soon and will make sure you get some link love back 😉 At this point we’re starting to head south to seek out warmer temperatures, so there’s a chance we may just end up in Miami. If that happens, we’ll definitely be in contact!